Mossy Mauve- A stunning plummy mauve with minty green shift. Not quite as sparkly as the others, but has a soft shimmer. The reason why I placed this order in the first place! Hellenic Fire- A killer pink-toned reddish orange with gold and orange sparkle. 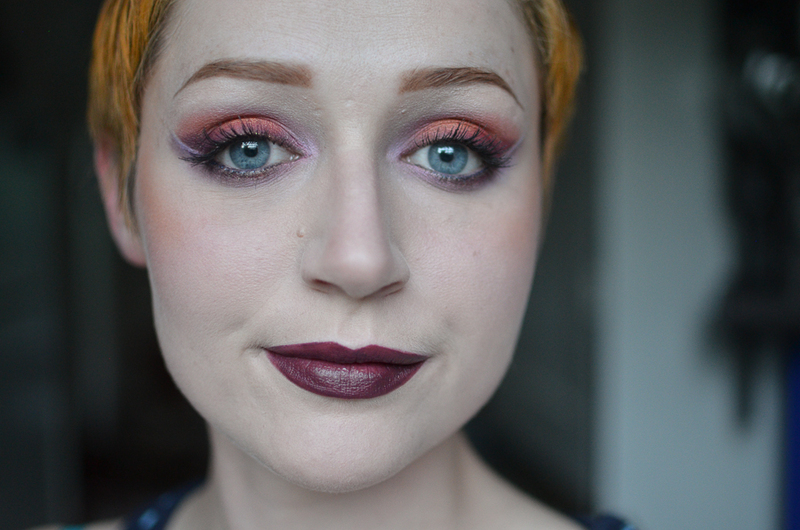 Magic Violet- Another one of those ‘Whoa, is this glowing?’ shades. 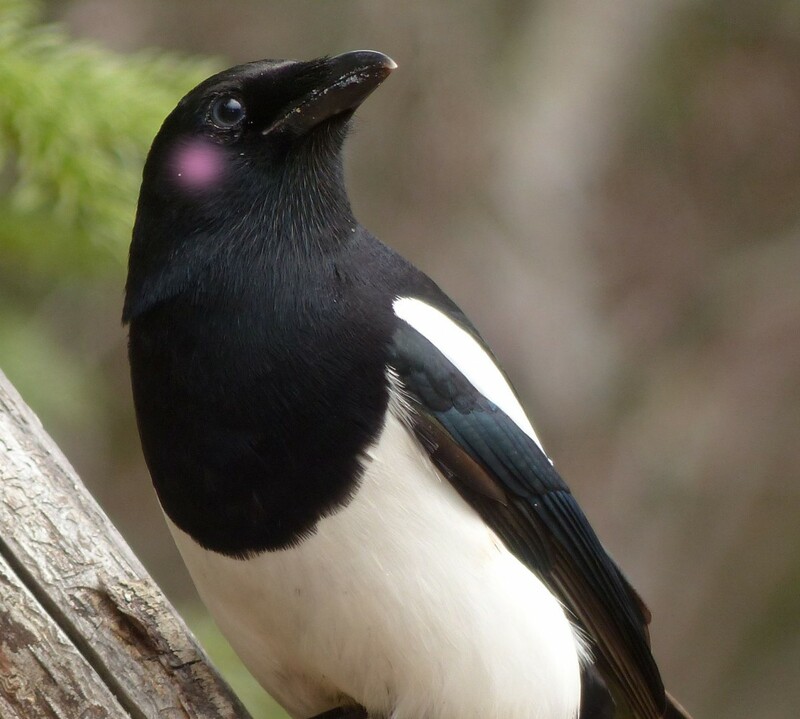 Bright, pale violet with a distinct pink shift. Day’s Last Glow- A stormy darkened periwinkle with pale blue/purple shift. 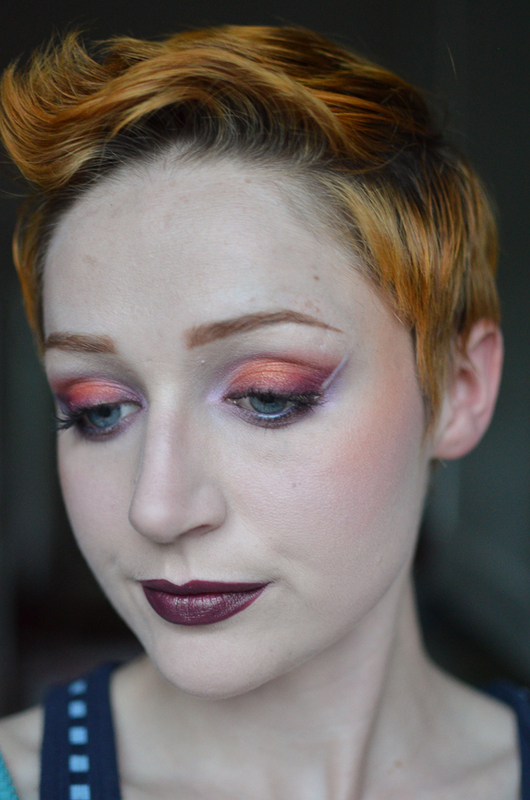 Paramour- Apricot with a slightly purple-pink toned shift. Soft Blue Beige- Hnng, I LOVE TAUPES. This is a smooth, lighter taupe with a sort of blue-silvery shift/shimmer. 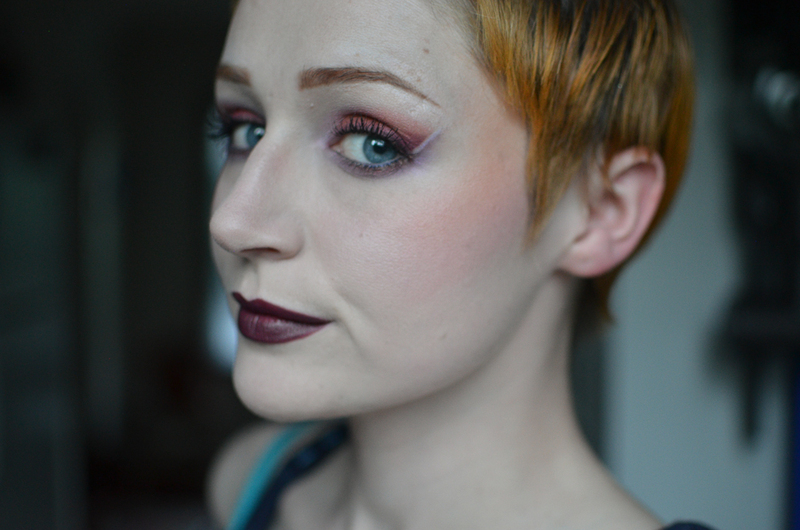 Plum Pudding- A browned purple with plum shift. Blue Horses- An almost apple-y sort of green with a bright teal shift, and some blue tones. Colonel Mustard- This is the color of… well… yellow mustard, if mustard was sparkly goodness! 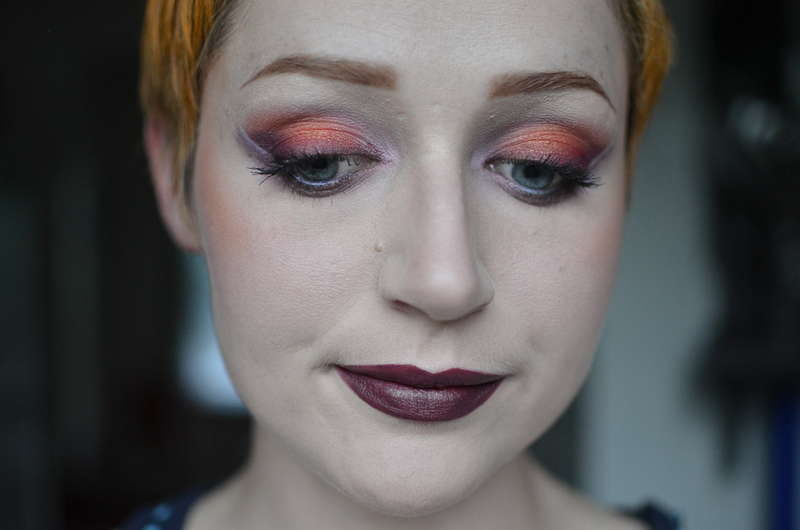 Barely There- A brown-toned peachy with lots of shimmer, including some silvers and maybe blues? Mint Julep- Light blue-toned green with silvery shift. 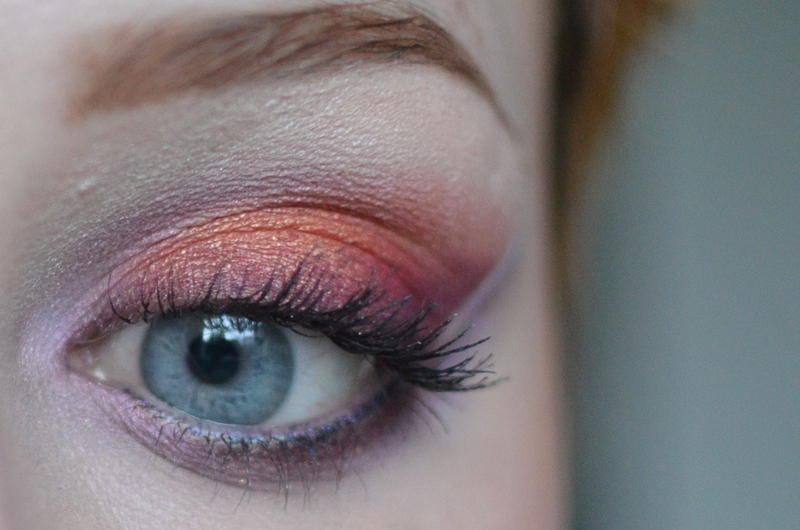 Solar Flare- A more salmon-toned version of Hellenic Fire, in my opinion… coral with gold shimmer. Mystic Ocean- Deep blue-toned purple with a bright green shift and gold sparkles. This one is AMAZING over Pixie Epoxy! Look at that beautiful shift on Mossy Mauve at the far left, and how Magic Violet (third from the left) looks so luminous! Ow ow, that shift on Mystic Ocean on the far right! 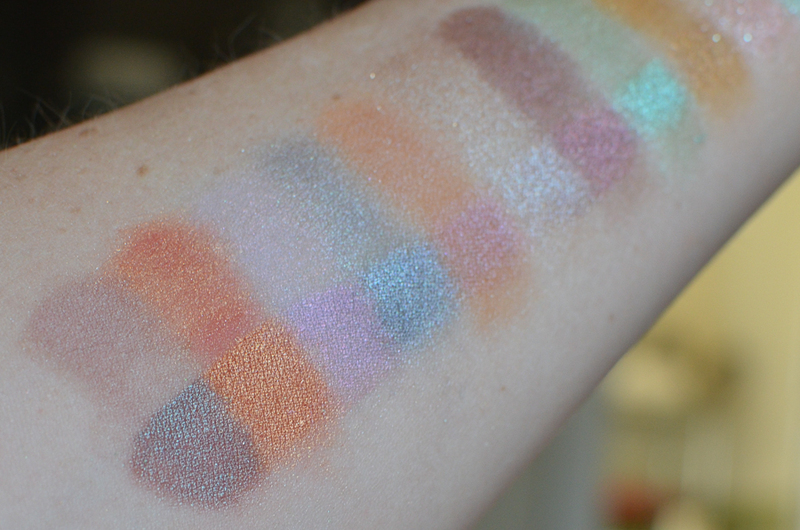 Several of these shadows applied pretty well even over bare skin, especially Hellenic Fire, Paramour, Plum Pudding, Colonel Mustard, and Mystic Ocean. Most all of them applied really well over the UD Primer Potion, though UDPP isn’t my favorite primer, so I feel like they would have applied even better over my usual NARS smudge-proof eye primer. They all shone their best over Pixie Epoxy, which caught the shift and glitter of each one beautifully. It’s hard to pick stand-outs, but my current favorites from the group are Mossy Mauve, Hellenic Fire, Magic Violet, Soft Blue Beige, and Mystic Ocean. In addition to these beautiful shadows, Dawn Eyes especially shines with its customer service and turn around time. I had some troubles with the Paypal cart, which dumped nearly half of the shadows I selected. Admittedly, it was a little frustrating to spend nearly an hour carefully selecting the shadows I wanted from the many individual pages of all of collections Dawn Eyes has and then to lose nearly half of them when I tried to order, but I e-mailed Dawn to see if the shadows were out of stock, and she responded within an hour to help! I gave her a list of the shadows I wasn’t able to order, she invoiced me for them, let me know I would receive a nice double sample of the Delight shadow, I paid… and voila, we were set! Not only was she right on hand to help with the difficulties, but I placed my order on May 18th and she shipped the very next morning. Less than a day turn around time between ordering and shipping! My package arrived this morning. Three days from ordering to arrival is really impressive! As a side note, Dawn’s prices are also incredibly reasonable. 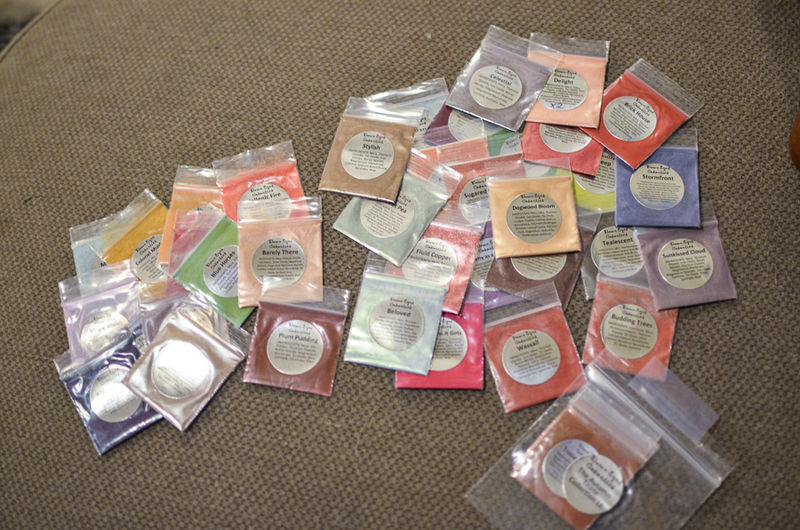 The sample baggies I received held 1/8 tsp of product, which is in step with Darling Girl sample sizes, but their sample baggies are $.50 per baggy, making it really easy to haul the hell out of their samples and make it easier to narrow down which of these beauties is actually worthy of becoming a full size shadow in your collection. 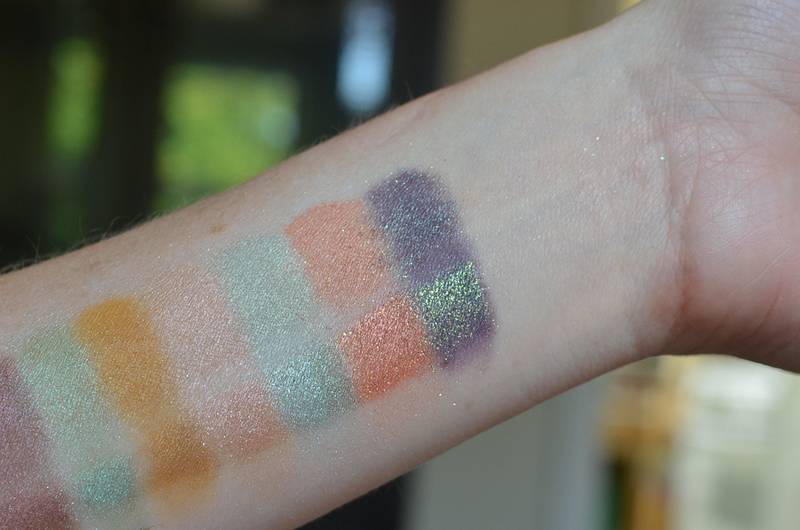 The instant I swatched Hellenic Fire, I knew I wanted to do something with it… so why not something smoky and dramatic and not really wearable? This look features Magic Violet in the inner corner, Firerock (not swatched) and Mystic Ocean by the lash line, Hellenic Fire on the lid, and Solar Flare in the crease/on the browbone. Mystic Ocean and Magic Violet were used on the lower lid, and Solar Flare and Hellenic Fire were used on the tops of the cheek bones. (A moment of personal critique: I’m working on improving my shadow taping techniques (I don’t use it often), and I think the angle of this is too steep, it probably would have been more successful if the angle was a bit lower, at least on this eye). What a wonderful first experience with Dawn Eyes! While it’s true that I consider myself a positive person in general, I am wracking my brain for anything that made this a less than incredible experience, and honestly the only downside to Dawn Eyes Cosmetics in my opinion is their website. I have heard they are currently working on a redesign, which I think would be immensely helpful, because navigating their collections and looking through the swatch galleries and videos of swatches (though I really do like the videos!) gets cumbersome. Dawn’s helpful communication, incredible TAT, and beautiful shadow colors make up for this in my mind, however. 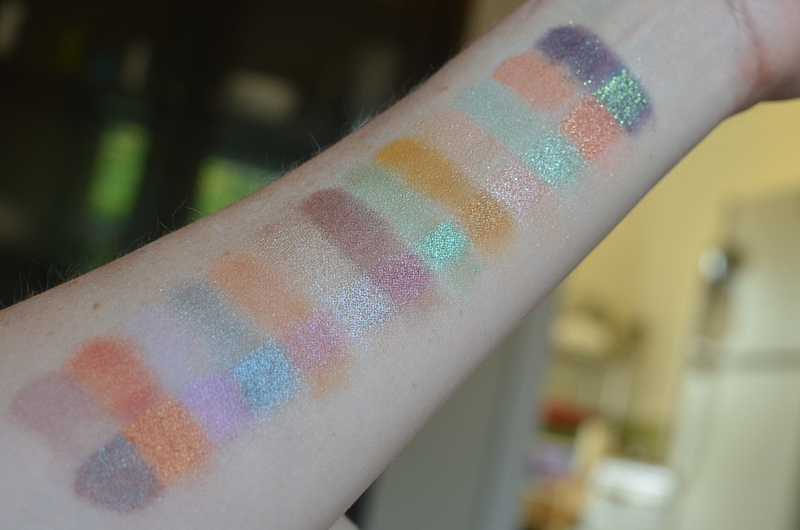 I will be making my way through swatching the rest of the shadows I ordered, and once I have swatched them all I will make decisions about full sized products. 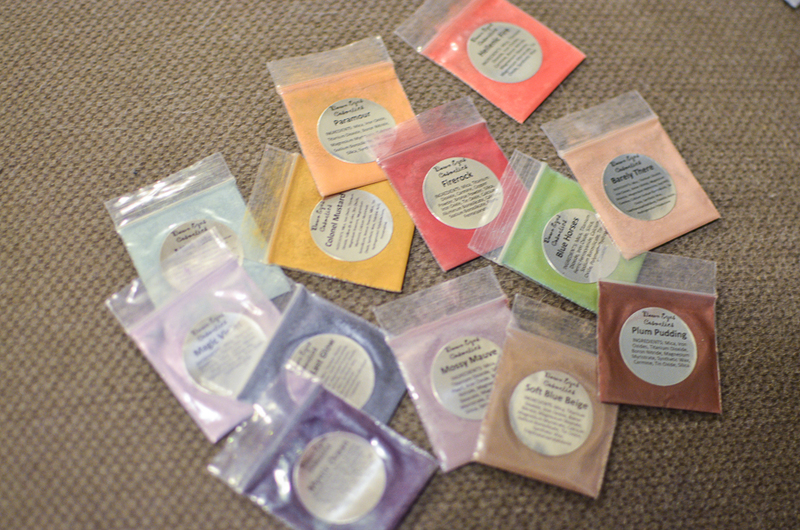 I imagine I will be bringing home a full Mossy Mauve and Soft Blue Beige, at least, if not also a Magic Violet and Hellenic Fire (despite literally never wearing bright orange-red eye shadow in every day life). 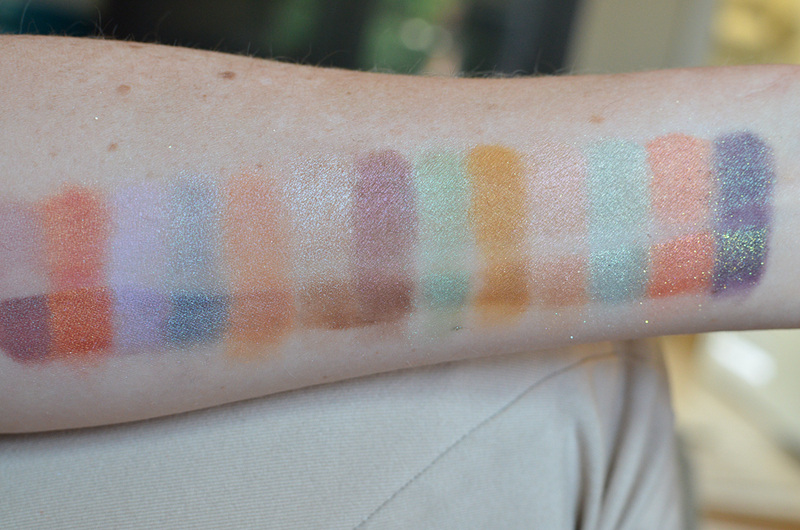 Which Dawn Eyes shadows are your favorites? Great post! I always love the looks you do. (: Do you have a bloglovin by any chance? I’d love to stay up to date with your posts!